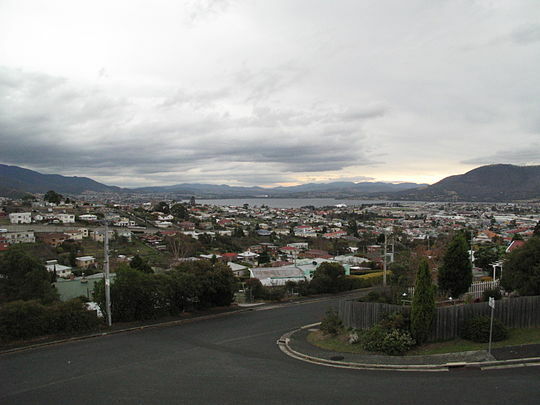 Moonah is a suburb in the city of Hobart, Tasmania, Australia located approximately 5 km north of the central business district of Hobart, and lying directly north of the inner city suburb New Town. In the 2016 Australian census, the population of Moonah was 5,421. Originally land given free to settlers along the banks of the New Town Rivulet, this area eventually became known as the suburbs of New Town and Moonah. ^ a b Australian Bureau of Statistics (27 June 2017). "Moonah (State Suburb)". 2016 Census QuickStats. Retrieved 25 March 2018.